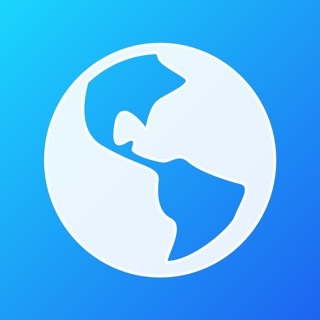 EdgeWise Connect is a streamlined VPN that keeps you online when you’re at the edge of Wi-Fi - that place where videos freeze, calls drop, and audio skips. 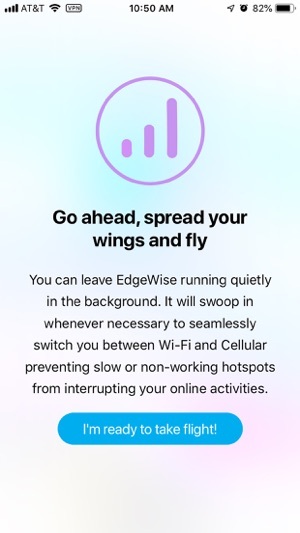 EdgeWise runs quietly in the background and will swoop in whenever necessary to seamlessly switch you between Wi-Fi and Cellular, preventing slow or non-working hotspots from interrupting your online activities. EdgeWise Connect does more than just rescue your dropped connections, though. We help rescue owls from the edge of extinction by aiding organizations dedicated to their conservation. Our current partner, Project SNOWstorm, is one of the world's largest collaborative research organizations focused on the preservation of snowy owls. In addition to providing connection stability, EdgeWise Connect also protects your online privacy. With bank-grade encryption, it ensures that no one is spying on your Internet activities or stealing sensitive information. Whether you are streaming a YouTube video, listening to music on Spotify, or chatting over Skype, EdgeWise Connect will make sure you never disconnect--even if your Wi-Fi does. 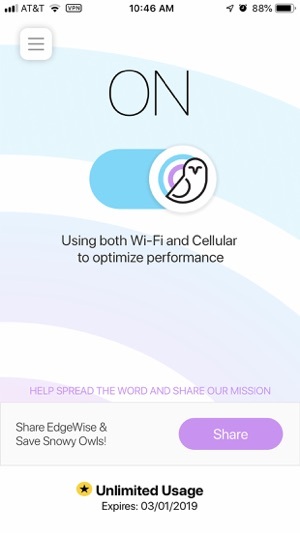 EdgeWise Connect is powered by the Speedify SDK and uses the same technology as its foundation. The free version of EdgeWise Connect includes 3 hours of active usage per day. $2.99 for 30 days of unlimited usage or $19.99 for 365 days of unlimited usage (a 40% savings). - VPN: This permission allows access to configure the VPN. - Notifications: This permission will alert the user when joining dead hotspots. Having such a powerful tool with the simplicity of a single button!!! I tried it today traveling on the train and usually at every stop the WiFi cuts in and out destroying my connection and now with EdgeWise connect I didn’t even notice! This is the app you need if your coverage isn’t perfect. If you share Wi-Fi (in a dorm or apartment complex) and can’t always get great performance, this app will make you very happy. I can go from my house to my car without the my podcast stopping!!! Yay!